On Monday, August 3, three individuals were arrested after neighbors claim to have seen two of the three carrying items from a home that had been broken in to on Olaf Street in Big Rapids. The three were arrested, according to a news article at UpNorthLive.com. One of the suspects was a juvenile; one of the men arrested is an 18-year-old White Cloud man, the other a 23-year-old man from Detroit. Officials with the Big Rapids Dept. of Public Safety say the Detroit man broke into the home at just before 3 p.m. Neighbors claim to have seen the two men carrying an XBox One, two pairs of Air Jordan sneakers, and a curtain which was believed to be used to carry the items stolen from the home. The 18-year-old fled the scene and went to a nearby business where he was apprehended by Dept. of Public Safety officers. The Detroit man and juvenile were located after officers surrounded an apartment complex in Big Rapids. The 23-year-old Detroit man is expected to face charges of breaking and entering, resisting and obstructing, and false identification to police. The 18-year-old is charged with resisting and obstructing, and one count of breaking and entering. According to the news article, the Detroit man also had an outstanding bench warrant. The criminal penalties an individual may face in Michigan for breaking and entering charges depends on several factors. For instance, Michigan Penal Code Section 750.110 states that a person who breaks and enters with the intent to commit a felony or larceny (in other words, steal property) may face a maximum of 10 years in prison. Someone who enters another party’s property without breaking and who intends to steal property may face up to five years in prison, along with fines of as much as $2,500 under Section 750.111. 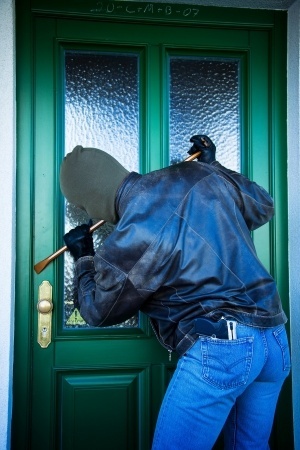 The definition of breaking and entering comes into play when being tried on charges, as the term “break” is not what most people believe. You do not have to actually break down a door or break out a window to be charged with breaking. Regardless of the facts of your case, it is vital o consult with an experienced Michigan criminal defense attorney. The qualify of defense lawyer you choose could mean the difference between freedom, and time behind bars, fines, and other consequences.